Step into an exciting program where you get to make the decisions. 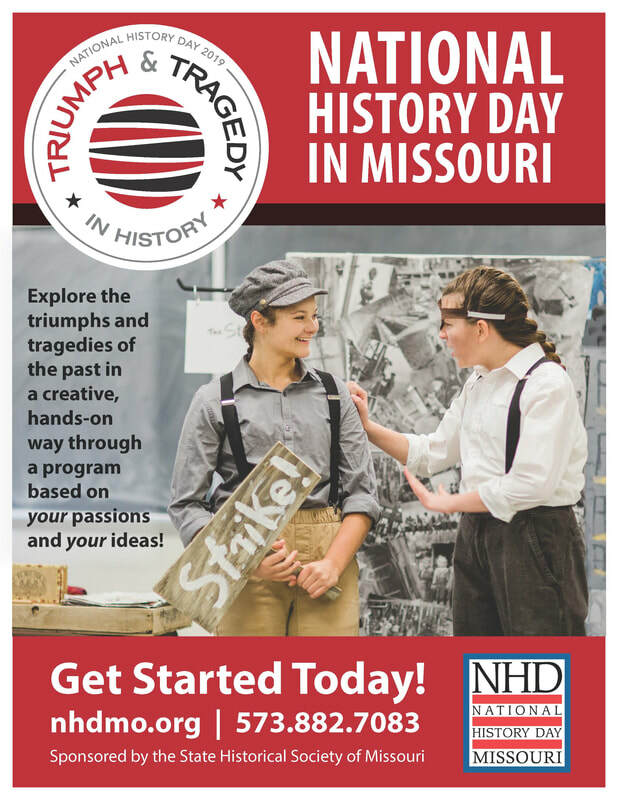 National History Day in Missouri is a unique opportunity for you—students in grades 6 to 12—to take charge and explore the past in a creative, hands-on way. While producing a documentary, exhibit, paper, performance, or website, become an expert on the topic of your choosing! When you are part of NHD, you choose how you want to present your research, so check out the different categories. Interested in making films and learning about video editing? Make a documentary. Do you love to write? Enter the paper category. Ready to try your hand at web design? This is your chance! National History Day not only provides you with invaluable experience in different fields; it is also a great activity to put on your college applications and resumes. Check out our guide on how to put NHD on your applications! Watch Dylan, Jaden, and Shawna's documentary. Check out student resources to learn more. ​Now that you know the categories you can choose from, your next decision is how you want to work on your project: individually or in a group? You decide! If you are interested in writing a paper, then you automatically have selected an individual project. However, any of the other categories can be individual or group (2 to 5 people).